I made this Chocolate Pumpkin Swirl Bundt Cake with my friend Andrew Zimmern last year. You can watch us working pumpkin magic in the kitchen together in the video below. I recently made a pumpkin pie and roasted several pumpkins and squash, so I have lots of great gourd puree on hand and this is one of my all time favorite cakes, so I wanted to share it with you. The cake I made with Andrew has a rather thin line of chocolate streusel and I went for a bolder chocolate layer this time. That is reflected in the recipe and directions below. You can roast your own pumpkin or use canned, either is terrific for this easy and tasty cake. There are a few basic recipes you can try in a cookbook to get a sense of the quality of the book. 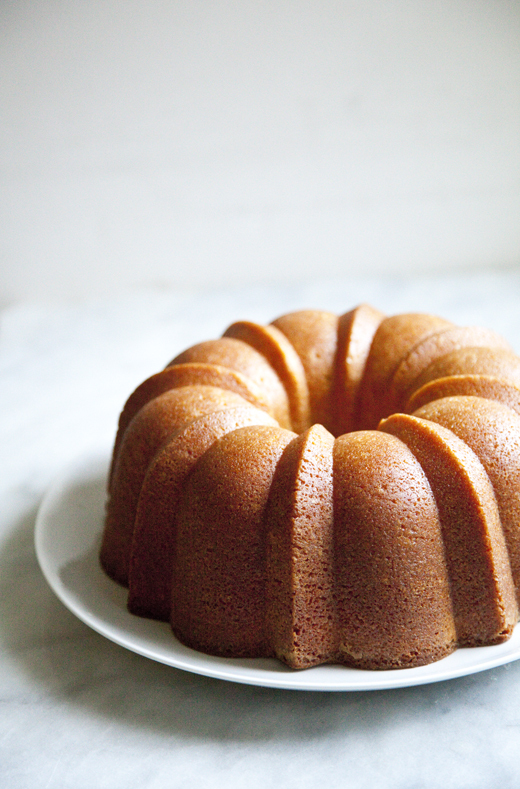 I always go for the banana bread, pound cakes or a classic Bundt. I know they sound too simple to give any indication of a chef’s worth, but the simple recipes are the hardest. They can’t hide behind icing or sauces. If they don’t stand perfect as they are, then chances are the rest of the recipes won’t either. I recently got a copy of Sarabeth Levine’s newest book, Sarabeth’s Good Morning Cookbook. For those of you who don’t know Sarabeth, she is a pastry chef who has had an acclaimed restaurant in NYC for decades. I first visited Sarabeth’s when I was in high school in the 1980s. My aunt, Melissa, lived in Manhattan and I’d go into the city from Connecticut to visit her. Brunch at Sarabeth’s became our tradition. I remember having a popover and marmalade for the first time and I was in love. Both the popovers and a Mandarin Orange spread are in her cookbook, but I haven’t gotten to them yet.